"Inspiring Healthy Living Around The World." Juice Plus+ is more than just the next best thing to fruit and vegetables: Juice Plus+ is the way to a new life in which you will feel better and more at ease with yourself. This lifestyle change has now been established for over 20 years. But the actual story of Juice Plus+ begins much earlier than this. Back in 1970, Jay Martin founded NSA (National Safety Associates) in Collierville, Tennessee (USA). This was a company that set about making people’s lives safer and better by producing fire and smoke detectors. In the 1980s, the range was expanded to air and water filtration systems – a small step on the way to taking care of people’s health. In 1993, the foundations of the company as we know it today were laid down. 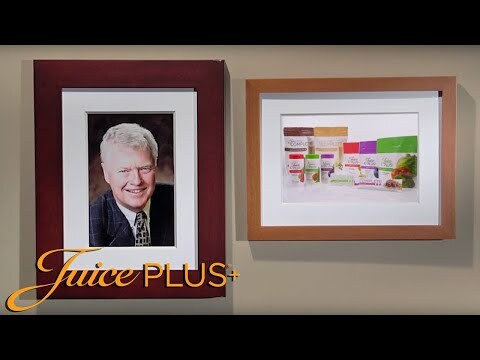 This was the introduction of Juice Plus+. Since then, the Juice Plus+ Company has continued to develop and expand it’s range of products. What started as a small direct sales business, has now become a successful, global company that helps people live a better life in more than 20 countries. Our European Head Office in Basel is responsible for co-ordinating our business in all European countries. Dan Holzmann, Partner, CEO & President Europe, has been with Juice Plus+ from the beginning and continues to oversee its success. Nothing excites him more than being able to have a lasting and positive influence on the quality of people’s lives. Our common goal grows from his enthusiasm to inspire people to lead a healthier and better life all over the world! It has been proven in various studies that phytonutrients, vitamins and minerals contained in fruit and vegetables, are important for a healthy life. Experts recommend five portions of fruit and vegetables a day. However, it’s not always easy to manage that everyday. We know how important a balanced diet is for our lives. So that is what we want to offer you. We have developed Juice Plus+ so that the ingredients processed are of the highest quality possible, that you get the best of 30 different fruit, vegetable and berry varieties, so you can get through the day with renewed energy and vigour. We look forward to accompanying you on your way!